12 October 2010 CONSTRUCTION STARTS ON CAPITALAND’S RAFFLES CITY NINGBO (Ningbo, China, 12 October 2010): Construction is underway on SPARCH’s landmark Raffles City Ningbo development, a one-stop shopping, dining, business, and lifestyle destination covering some 157,800 sqm. In order to realize the project, a world-class design team is assembled, led by award-winning architects SPARCH, and including Meinhardt (MEP consultant), Arup (fire engineer), MVA (traffic consultant) and the Ningbo local design institute (LDI). Ningbo is home to China’s second largest port, boasting an increasingly affluent population. Raffles City Ningbo was launched last year, graced by Singapore Prime Minister Mr. Lee Hsien Loong and Zhejiang Province Vice-Governor Mr. Gong Zheng. The project, which comprises a mall, a Grade A office tower and serviced residences, is the latest in the “Raffles City” brand developed by Singapore-based CapitaLand. Raffles City Ningbo is located to the east of the Yuyao River, within the Jiangbei district, next to Ningbo’s historical downtown. 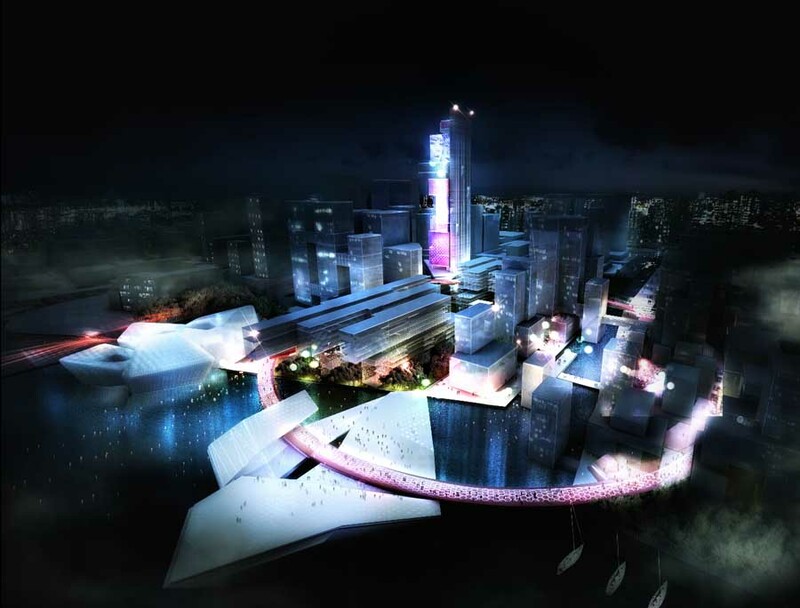 The project marks the final phase of CapitaLand’s masterplan and will act as a catalyst development for the Jiangbei District, creating a new downtown district in the city. The planned subway link beneath the office tower will cement the development into the city’s infrastructure and assist in the creation of this new shopping and business destination. SPARCH is an award-winning international architectural consultancy that has been building and designing in Asia for 10 years with proven expertise in urban planning, architecture, landscape and interior design. Following the success of the Singapore Clarke Quay Redevelopment in 2005, SPARCH is now delivering a diverse range of landmark projects across Asia, each seeking to offer new experiences within the urban environment. Its portfolio of major projects includes the Raffles City Beijing mixed-use development, Shanghai International Cruise Terminal, and residential developments in Abu Dhabi, United Arab Emirates and Hyderabad, India. SPARCH is also engaged in a number of other exciting projects in Singapore, Malaysia and Indonesia which are under construction. SPARCH has gained a worldwide reputation for originality and rich expression, and has won architectural design awards in the United Kingdom, Canada, Germany, China and Singapore. SPARCH is led by five directors: Stephen Pimbley, Jeb Beresford, Jan Clostermann, John Curran and Sven Steiner, and operates from offices in Abu Dhabi, Beijing, Shanghai and Singapore. UNStudio’s Raffles City in Hangzhou will be CapitaLand’s sixth Raffles City, following those in Singapore, Shanghai, Beijing, Chengdu and Bahrain. 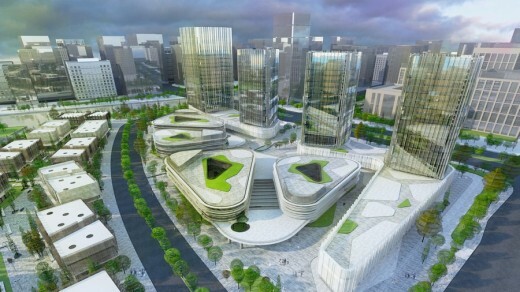 UNStudio’s Raffles City Hangzhou incorporates retail, offices, housing and hotel facilities.